It’s always a question of when or how should I get started. So today, we’ll have Dr. Jim Fay guide us on how to get things started and moving forward when implementing the principles of Love and Logic. Tana Amen:	When should they start? Dr. Jim Fay:	That's interesting. That first year of life, those little kids are just a bundle of needs that they cannot fulfill themselves. They cry and we pretty well know that there's some important need needs to be fulfilled, and we should do that. About the time they got to be a year old, then they become a bundle of needs and a bundle of wants, and when they cry, we can't tell which it is. But we found that the more simple you make this, the happier parents are. We found parents who have read so many psychology books that they're afraid to say anything to their kids. We generally say once they're about one year of age, we want to make sure we're having so much fun with them when everything is going right. There's all this laughing and the giggling and touching and smooching and being silly so the kids really want to be around us. Then when things don't go right, instead of figuring out, "Oh, what's going on here?" and all that, we use the old song. The old song is actually we sing it. The reason we sing this when kids do something wrong is we can't be angry and sing a song at the same time, because it's that anger and frustration that makes things worse. There's some steps to follow and people who follow these steps find out when their kids are 16 years of age, they can say, "Uh-oh" and the kids know that they better toe the mark. First step is "Uh-oh," and we just sing that out, big and bold like that: "Uh-oh, little bedroom time, this is so sad" or "Uh-oh, little playpen time, this is so sad," and we whisk them off to their room. Now, usually they're upset at that point, and especially with the strong-willed kids, it's good to use a little paradoxical psychology with them. I like to say on the way to the room, "Have a nice little fit. We'll see you when you're sweet," and off they go into the room. Some people have written me letters about that, "Why would you say that to a kid?" Well, you tell the strong-willed kid to do something and you can be pretty sure he won't do it, right? Tana Amen:	Or the opposite. Dr. Jim Fay:	Yeah. Get them into the room now and we give them some choices. We can share control, say, "Do you want to stay in there with the door open or door shut?" and your strong-willed little kid will come roaring right back out and then we say, "How sad. You chose shut." Now, you want to be in there with the [inaudible 00:03:48]. Now, I don't like a kid in a locked room because of all the danger issues there, so we advise parents to keep a little washcloth handy and wedge it between the door and the doorjamb up high where they child can't reach it. That, in fact, actually disables the door but if there was a fire or something, we could hit that door with our hand and they would pop right open. We've covered that safety issue there. They're going to go in there until they are perfectly calm, and then they're not going to come out at that point. See? Time-out was the big thing for years. Time-out. Time-out. But time-out really never worked very well. One of the reasons it never worked very well is kids came right back out as soon as they were calm. They never had a chance to really settle down and think about why they were in there. We advise parents, once the child is calm, and never ever before, regardless of how long it takes, once she's calmed down, then we say, "Well, it's good that you're calm. I'll set the timer and if you're still calm when the timer goes off, you can be with us." I like five minutes. I don't think it's too abusive to insist that a kid learn how to be calm for five minutes. Tana Amen:	That's interesting. My husband had that same philosophy with … We called it time-out but it was essentially sort of what you're talking about now, but we would always say … You taught me to say, "It doesn't start until you are quiet," and so then she would have that time. I literally had to sit with her for an hour one time, because she was really small so I had to like … I didn't sit with her, but I had to wait for her an hour for her to be calm. She just chose to keep screaming, but it worked. Dr. Jim Fay:	The time are really, really slow for you, Tana. Dr. Jim Fay:	And really, really fast for her because she was in brainstem, right? Dr. Jim Fay:	Yeah, I have known parents who actually train their kids to have long rages by trying to hold out for a little while and then letting the child out while they're still in a rage, so they start to learn, "Well, the way to get my way is to have a rage." That's counterproductive. This timer business becomes really, really important that it has to start only after they're calm. Once they come out of their room, they meld back into the family, maybe a little hug, but we don't need to talk to them about why they were in there. The family dog could figure out why he was in there. We don't want to treat our kids like they're not as smart as the family dog. Tana Amen:	Oh, that's funny. Dr. Jim Fay:	There's actually books out there teaching you how to make sure that your kids understand everything they do or that you do to them. That's like saying, "You poor, stupid, pathetic little thing, you can't figure this out. I have to explain it to you. Never have to tell Rex, the family dog, anything. He figures it out." Where people will get in trouble on this is they will forget to do it as a song. There's an old thing about, well, where they have a negative association with that room. Well, if you do it the old way with anger, "You get in that room! You settle down," well, they're going to associate it in a negative way. Going in there with a song and the parent being happy as a lark, it just don't happen that way, so they don't need to be [crosstalk 00:07:49] to do that. Dr. Daniel Amen:	The attitude is so important. I think that's the biggest thing I saw Tana change is that she became her coach. She had more empathy. There was less of the negative chatter. That was huge. Tana Amen:	But it's a practice. 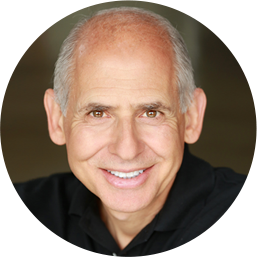 Dr. Daniel Amen:	I always say to parents, always try to be curious, not furious. Dr. Daniel Amen:	If you can keep with that mindset, then you begin to parent with empathy. 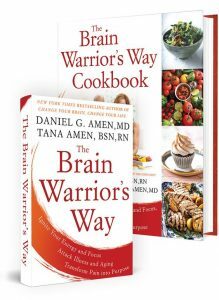 Dr. Daniel Amen:	Well, and your history. Dr. Daniel Amen:	This would be a good important topic for us to talk about what you grew up in. Tana Amen:	Chaos, drama, trauma. 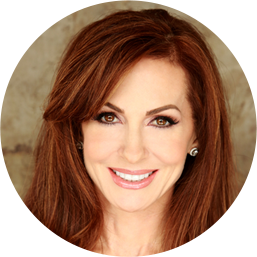 Dr. Daniel Amen:	A very loving mother, but it's like my way or the highway. Tana Amen:	But also constant drama. Dr. Daniel Amen:	Constant drama because of having ADD in your house. Tana Amen:	But didn't really live it. Tana Amen:	It's what I knew. Dr. Daniel Amen:	… That happens. When Chloe is being disrespectful, it would just flip you out. Tana Amen:	Right. It would really irritate me. It took time. I think that's the point is. The first thing was the awareness that I didn't want my daughter to grow up in the same environment that I did, and so I was willing to do the work to find the answers to do that work. Recognize it and be willing to change it. But then know that it's not always going to happen immediately, like you have to work at it. You're the parent and you've got habits that you might need to work on and that's okay. I was gentle with myself, but I would listen over and over and over. Dr. Daniel Amen:	That's the beautiful thing about love and logic, it's not just the book. There is the institute. There are courses that people can take. Tana Amen:	And free downloads. Dr. Daniel Amen:	In a society with an eight second attention span, it's very important to commit to deep learning rather than "Give me the four tips to be a great parent." Tana Amen:	Oh no, you have to submerge yourself. I'm going to tell you right now. The tips are awesome as a reminder, but you have to submerge yourself in the material, because you're the parent and you've got to start … If you don't want the same outcome, quit doing the same things, but that's a habit you have to develop. Dr. Jim Fay:	That's why we put so much on CDs still. People need to listen to those in their car and listen over and over and over. People worry, they say, "But what if my kids hear these things?" Dr. Jim Fay:	The beauty of love and logic is even if the kids know what you're going to do, they can't do anything about it. Dr. Jim Fay:	All they can do is just say, "I hate it when you're sad for me." Well, I could be mean if that would help. Tana Amen:	Right, right. That's funny. Yeah, it's just been so … The CDs were actually really funny, so they help. It makes it easier to listen to, so. Dr. Jim Fay:	Yeah. One of the things we found is that the people who make the fastest progress on love and logic are the people who don't try to learn everything at once. They pick out one technique and they say, "I'm just going to work on that one thing until I master it no matter how long it takes." Tana Amen:	That's funny. That's what we teach. Tana Amen:	That's funny. I have a saying that I said to my daughter because she did the whole "It's not fair" thing. I would look at her and I'm like, "Honey, fair is a place where they sell bad food and farm animals. It's nothing to do with life or this situation." She had no idea what I was talking about, but it totally confused her, but she would stop. She would stop it. I'm like, "Life's not fair, babe. No one told you it should be fair." Dr. Jim Fay:	Yeah, because it was the same thing every time and she knew it wasn't going to pay off, that arguing and backtalk and begging is not going to pay off. Dr. Jim Fay:	There was an old farmer who the only thing he'd ever say to his kids when they'd start to argue is say, "Well, Jane, no time for making kitten britches, you got cat pants." Tana Amen:	Oh, that's funny. That's so funny. Dr. Jim Fay:	She said, "We never knew what that meant, but I grew up and when my kids start argue, I heard the same thing. It was coming out of my mouth. I called up my dad and I said, 'I can't believe I'm talking just like you did now. What did that mean? We never knew what it mean.'" Dr. Jim Fay:	He said, "Ha ha, Jane, I don't rightly know, I just kind of figured, when a kid does something that ain't too bright, you should just match it up." Dr. Jim Fay:	Highly effective, say the same thing every time. Tana Amen:	Yeah, I love it. Dr. Jim Fay:	On our next segment, we ought to talk about kids who are strong-willed and defiant and how we can create a mantra that will mean something to them. Tana Amen:	Yeah, I love that. I want to end as we go into our next segment on kids who are a little bit older, one of the things that as she got older when she would say something is not fair, now she can rationalize better. I would just say to her, "Honey, no one told you life was going to be fair, it's what you make it." We started that with my mantra. She started taking responsibility then and that worked really well for us, but I had to say it a lot. Dr. Daniel Amen:	Well, we are going to come back. Dr. Jim Fay:	Yeah, we'll talk about how you can give them a chance to have their say in a really healthy way during this next session. Dr. Daniel Amen:	We're going to come back and talk about what may be the hardest part of parenting which is parenting teenagers. Stay with us. We are here with Dr. Jim Fay, the author of Parenting with Love and Logic. You can learn more about his work at loveandlogic.com. They have amazing courses. There are email tips you can get for free, so stay with us.